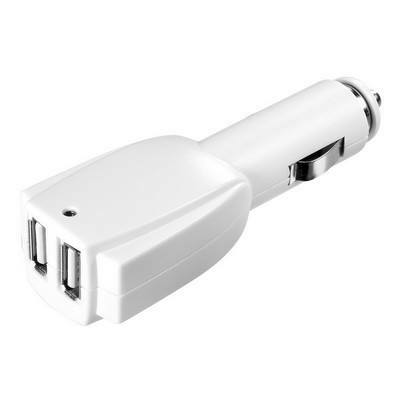 Always stay connected with your loved ones with the Rocket Dual USB Car Charger. It is made from ABS plastic material. 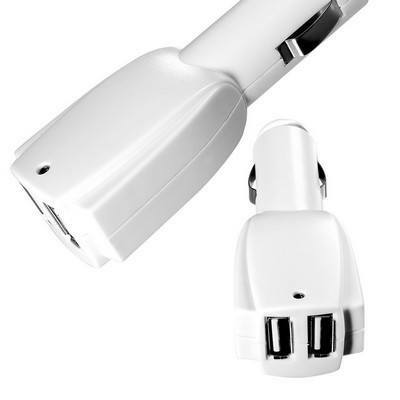 Always stay connected with your loved ones with the Rocket Dual USB Car Charger. It is made from ABS plastic material. It has dual ports and a contrasting silicone ring. The charger has an Input: DC12V-24V and Output: DC 5.0V--1-2.1-1A/2.1A. 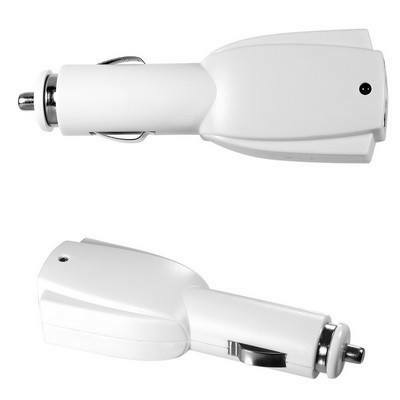 The charger is a useful accessory to charge your devices in your car. It is compact and easy to store in your car’s glove compartment. The USB car charger can be customized with your company’s logo to help promote your brand.